For many years Quakers from Europe and the U.S. have been visiting our fellow Quakers in the Andes, most recently under the auspices of Treasures of the Andes with Barbara Flynn. Now BQEF has undertaken this important role of encouraging links with our Andean Friends, and is sponsoring a tour from July 25th to August 9th, 2018. This exciting tour includes a lower altitude start in the old capitol of Sucre, a visit to the silver mountain in Potosí, a visit to Quaker sponsored projects in La Paz, Sorata and elsewhere, and finishes with tours of the ancient sites of Tiwanku and the Isla da Sol in Lake Titicaca. Please circulate the attached flier and registration form to any of your friends who may be interested. Internet Access for the Student Residence! Our high school students in Sorata are delighted to have ready access to the internet at the student residence, for the first time ever. In recent years their teachers have increasingly assigned reports that require them to do research on the internet. Because the minimum monthly charge for establishing an internet connection was $300, we were unable to offer internet on the student residence computers. So students had to pay for computer use at one of the local internet cafes, which are often crowded, noisy, and an expense that most could ill afford. This July, a generous donation from visitors on the Quaker Service and Study Tour equipped 2 of the new student residence computers with affordable internet access via a cell phone simcard. Below is the expanded edition of our print story on Anahi Ticona Serrano. We hope you enjoy learning more about this dedicated young Friend. 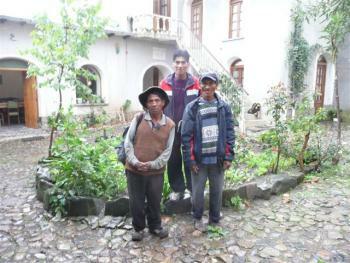 "One day during my volunteer stint at Los Amigos Quaker school in La Paz, things seemed a little different. Clearly something was up, but with my limited Spanish, I wasn’t able to figure it out - until midday, when a teacher was selling home-made chocolates (like hot cakes!) in the shapes of ties and watches to everyone within a mile of the teacher’s "lounge". Finally I understood. The following day was Día del Padre (Father’s Day) in Bolivia, and clearly, it was an important day! Children with painful teeth have a new dentist to help them develop a healthy mouth. 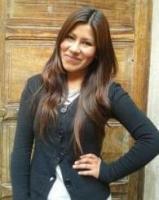 Miriam Alave Condori graduated in dentistry from UPEA, the Public University of El Alto, last December with the help of a BQEF scholarship. (She was one of fourteen BQEF graduates last semester.) Miriam has completed five years of university studies. This year she’ll also complete a nine-month internship in health centers. Miriam discovered her love of children’s dentistry during her fourth year, when her studies began to include working with patients. Miriam quickly discovered that in both the coursework and the clinic, she enjoyed pediatric dentistry the most. Miriam has observed that working with children under twelve requires communication with and cooperation from the child. The dentist, the child, and the parents all have to work together. The dentist also has to give tactful recommendations to help the family prevent further problems. Miriam enjoys this relationship building aspect of the work. 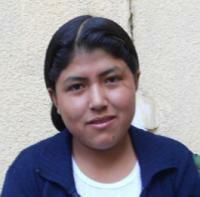 Juana Ruperta Carani will graduate from high school this December with an excellent academic record. She came to the BQEF Student Residence (aka Internado) in Sorata in 2009 as a timid 7th grader. The school in her home community of Chuchulaya only goes through 6th grade, and Juana wanted to be the first in her family to go to high school. Her stepfather, Luis, had applied for Juana to join the Student Residence so she could start 7th grade. On the day we were to post the list of those accepted, he was anxious to confirm that Juana was included, so he and another parent from Chuchulaya left home at 2:00 am to walk and run in the rain to arrive by 8:00 am. Happily, both their daughters were on the list. Steeped in the rich heritage of the Aymara language and culture, Emma Quispe Mamani graduated from the Public University of El Alto in linguistics and languages. Primitiva Castaya Quispe felt honored and gratified to co-present garments made by her Aymara textiles class to President Evo Morales during his visit to her school. Primitiva is studying textile engineering at the “Tupak Katari Indigenous Amyara Bolivian University”, where she’s learning to produce textiles with traditional Aymara cultural symbols, using both traditional and contemporary technology. Primitiva’s studies link traditional Aymara arts to international organizations that can spread appreciation for their beauty as well as provide markets.